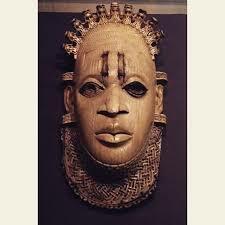 The Great Benin Kingdom is probably Nigeria’s greatest empire. The Ogiso dynasty lasted for about 854 years plus an interregnum of 285 years between the reign of Ogiso Orire and Ogiso Odia, there was an interregnum of 70 years between Ogiso Owodo and Oba Oranmiyan plus 845 years of Oba ruler-ship till date. 1.The First Storey Building in Nigeria was built at Ughoton by the Dutch in the year 1718, and it was called “The Factory”. The said building was destroyed by the British during the war against the Benins in 1897. The site of the building is still intact. 2. The Oldest Church in West-Africa was established in Great Benin Empire by the Earliest Portuguese missionaries in the 16th Century which is today known as the Holy Aruosa (Benin National Church). Pope Pius XII visited Benin and handed the church to the Oba of Benin, Oba Oreoghene in 1692AD. 3. 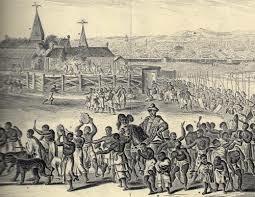 The first Known Embassy Established in Nigeria was in Benin during the reign of Oba Esigie in the 16th century. 4. The Oldest known letter written in Nigeria was by Duarte Pires instructed by Oba Esigie which was addressed to King John II, on the 20th October, 1516AD. The second oldest letter was written by Anthonio Domingo (Great-grand Son of Oba Olua) to the Pope to seek for missionary assistance in order to spread Christianity in Benin Empire in 1652AD. 5. Oba Orhogbua founded Lagos and planted a dukedom, the Obaship of Lagos (Eko). 6. Oldest ever recorded market in Africa is Ogiso (Agbado) Market dated 60BCE. 7. The first ever recorded bank (Owigho) in present day West-Africa was built in Benin kingdom by Oba Eresoyen, construction started in the year 1740AD and was completed in the year 1743AD. 8. 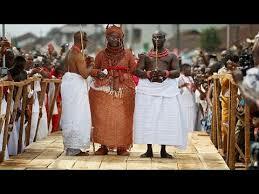 Queen Idia (Oba Esigie mother) is the first Oba’s mother to be alive to see her son becoming an Oba. That’s because traditionally previous Crown prince mothers were killed before their Sons ascend the throne. 10. Oduduwa was the exiled crowned prince from Benin known as Ekaladerhan, which is being purported as the progenitor of the Yoruba race. 11. The monarch of Warri kingdom is an off shoot of the royal house of Benin kingdom founded by prince Iginuwa the Son of Oba Olua in the 15th century. 12. The Osemawe of Ondo was corrupted from Osemwughe, the Benin warrior who deserted Udo town, when there was war between Benin City and Udo town. 14. The world most famous mask Queen Idia mask was the face of FESTAC 77’ held in Lagos. 16. 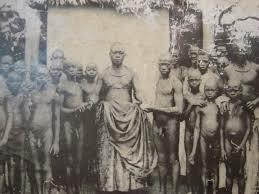 Oba Esigie is the first King in Africa to be baptized in the year 1504AD in Benin. 17. The King of Benin can in a single day make 20,000 men ready for war, and, if need be, 180, 000, and because of this he has great influence among all the surrounding peoples’ … His authority stretches over many cities, towns and villages. There is no King thereabouts who, in the possession of so many beautiful cities and towns, in his capital – Olfert Dapper, description of Africa, 1668. 18. According to the Guinness Book of Records (1974 edition) described the walls of Benin City and its surrounding kingdom as the world’s largest earthworks carried out prior to the mechanical era. 20. Benin City is surrounded by massive walls dug by Oba Oguola in 13th century and Oba Ewuare I in the 15th century. 21. Great Wall of Benin extended for some 16,000km in all, in a mosaic of more than 500 interconnected settlement boundaries. They covered 6, 500sq km and were all dug by the Edo people. 22. The Great wall of Benin took an estimated 150million hours of digging to construct, and are perhaps the largest single archaeological phenomenon on the planet. 23. Benin City is the first City to have a semblance of street lighting in the world. 24. The Portuguese were the people who called our land “Great City of Benin” because they were astonished with what they saw that the Edo people achieved centuries before any major cities in the world. 25. 1n 1691, the Portuguese ship captain Lourenco Pinto observed: “Great Benin, where the king resides, is larger than Lisbon; all the streets run straight and as far as the eyes can see. 26. The Binis are the best bronze casters (Igun – eronmwon) in the world. 27. Two kings were installed without a crown - Ogiso Igodo (40BC-16AD) and Oba Oranmiyan (Odolorre) 1170-1200AD. 28. Great Benin is known as the cradle of Black civilization and the centre of the world (Edorisiagbon). 29. The Binis were the first to use sophisticated weapons (guns) to fight a war (Idah war) in the present day Nigeria in about 501 years ago (August, 1516), the war was led by Oba Esigie mother (Queen Idia). Supported by some Portuguese mercenaries. 30. All Obas in Lagos (Eko) were buried in their ancestral home (Benin City) until late 19th century. To lend credence to that, Oba Osemwende in 1834 instructed Idewu Ojulari, the Oba of Lagos to zegbele (kill himself). The instruction was, expectedly, complied with. 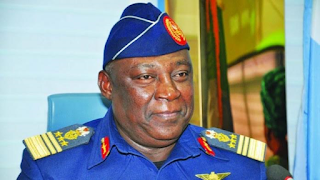 The Lagos Oba complied by taking poison.